Check out Tobi's Shining Knight Belt Bag Add some flashy details to your nighttime looks with the Shining Knight Black Belt Bag. 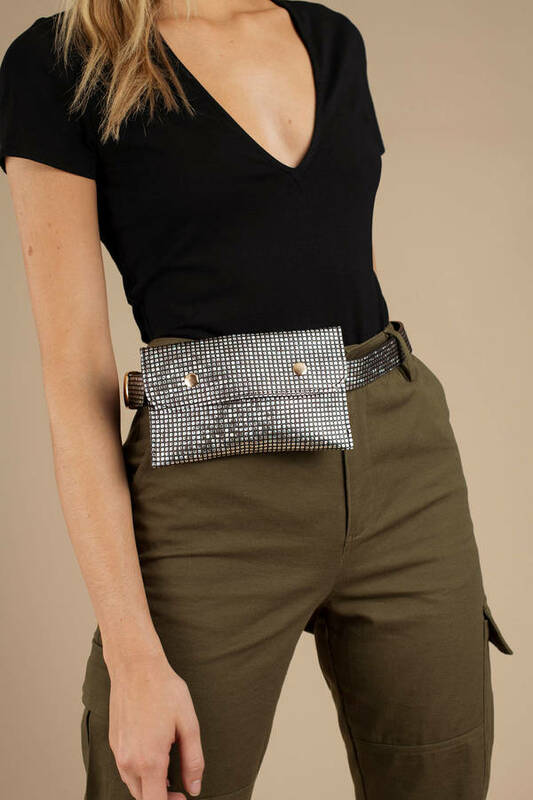 This embellished fanny pack features two button closures on a foldover, medium-sized strap, and a minimalist buckle. This party fanny pack will look perf at your next concert. Add some flashy details to your nighttime looks with the Shining Knight Black Belt Bag. 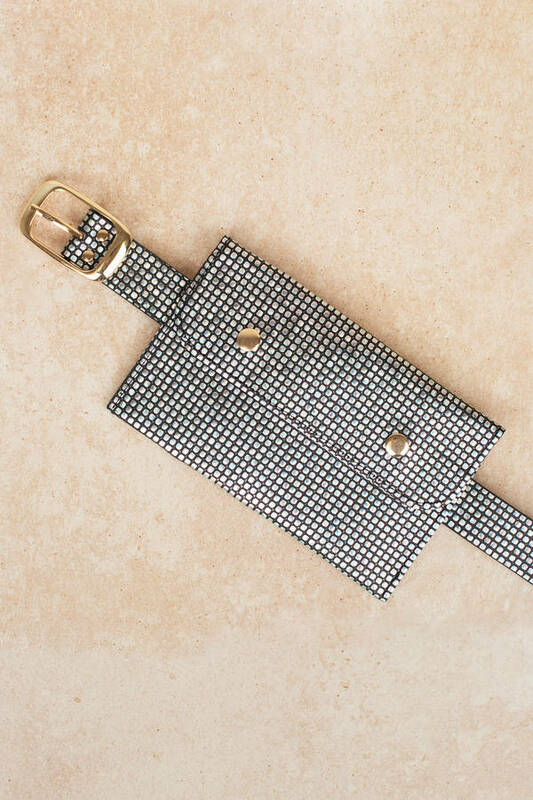 This embellished fanny pack features two button closures on a foldover, medium-sized strap, and a minimalist buckle. This party fanny pack will look perf at your next concert.